Take some time for you with our “Your Stay Your Way” special offer for April & May, or July & August 2019. 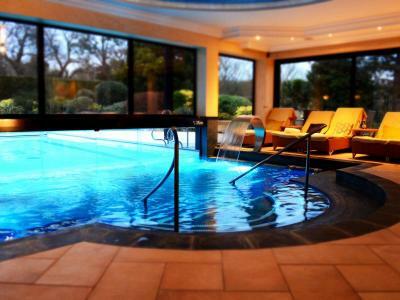 This special break includes overnight accommodation and breakfast, with use of our Spa facilities from check-in to check-out, bliss! 1. A three course meal each – worth £84! 2. A 30 minute treatment each* (choose from a mini manicure, mini pedicure, essentials facial, or a back, neck and shoulder massage) – worth up to £90! 3. Afternoon Tea with Taittinger Champagne – worth £55! Please select which option you would like from the drop down list after you click "Book Now".